The crater caused by ocean tides measures 25 feet deep and about 980 feet wide — and authorities fear another one will likely appear in the area soon. Rainbow Beach HelicoptersThe sinkhole appeared overnight to the shock of beachgoers, and authorities believe that more sinkholes like this are expected to happen. 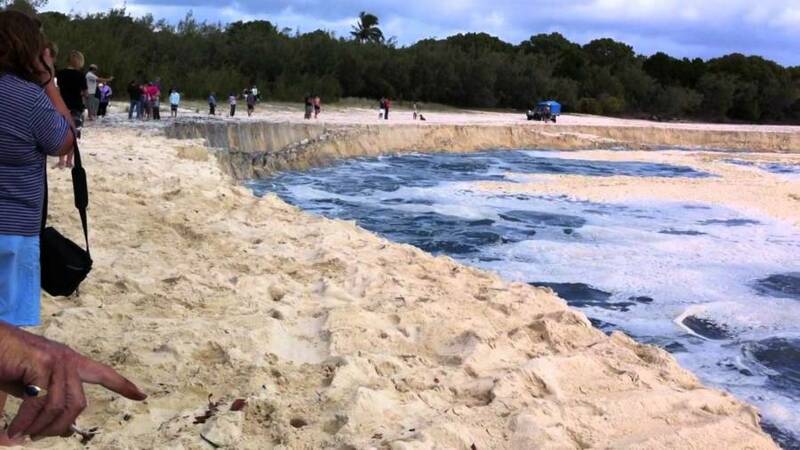 A large portion of a beach in Queensland, Australia has been swallowed up by a massive sinkhole. The crater emerged overnight on Sept. 23, to the shock of locals and visitors alike — and the video of the aftermath is jarring. 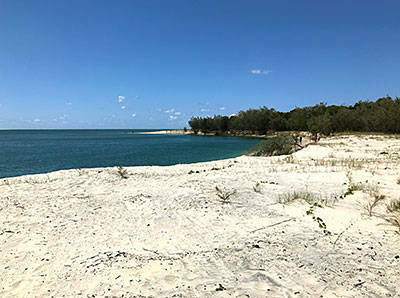 The “nearshore landslip,” as it has been described, happened on Rainbow Beach at Inskip Point, with the crater measuring about 200 to 300 meters (650 to 980 feet) wide and 7.5 meters (25 feet) deep. This is the third sinkhole of this kind at this Australia beach in three years. Diana Journeaux from Rainbow Beach Helicopters told the Brisbane Times that she didn’t see the sinkhole when she flew on one of her choppers on the morning of Sept. 23, indicating that the incident happened in a matter of seconds. Queensland Parks and Wildlife ServiceThe erosion sank 25 feet below the earth’s surface. Authorities advised beachgoers and campers to steer clear of this particular area, as the threat of being suddenly swallowed is very real. YouTubeThe sinkhole gradually swallowing the beach. This area of beach seems to be prone to erosions of this nature. Back in Sept. 2015, a similar sinkhole appeared just a few hundred meters away from the site of this latest crater. Another one appeared in 2016 as well, and authorities believe that this latest sinkhole won’t be the last one that’s seen in the area. Sinkholes typically happen when rainfall seeps into the soil, causing the ground to be less stable and effectively fall into itself. This particular occurrence happened because of tidal flow from the ocean. Why is A Healthy Lifestyle so Important, Especially in Old Age?